The prayers in this book are gleaned from the rich tradition of Jesuit reflection on the human hunger for God. 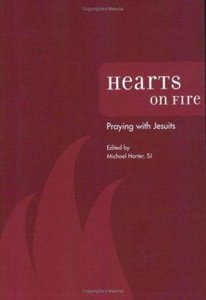 Written by the most illustrious Jesuits, these prayers give eloquent voice to Ignatian spirituality. - Publisher The prayers compiled in this unique book are gleaned from the rich tradition of Jesuit reflection on the human hunger for God. Hundreds of prayers are included, many written by the most illustrious Jesuits, including Ignatius Loyola, Francis Xavier, Peter Canisius, Gerard Manley Hopkins, and others. The prayers compiled in this unique book are gleaned from the rich tradition of Jesuit reflection on the human hunger for God. Hundreds of prayers are included, many written by the most illustrious Jesuits, including Ignatius Loyola, Francis Xavier, Peter Canisius, Gerard Manley Hopkins, and others. Rev. Michael G. Harter, S.J., entered the Society of Jesus at St. Stanislaus Seminary in 1961 and was ordained to the priesthood in 1974. Over the years he has been a novice director and superior, retreat director, and managing editor of "America magazine.